Kingroot is one of root apps that enable you to root your android device. Kingroot is available in two types including Kingroot apps for android and Kingroot PC. Kingroot apps for android is a Kingroot app that you are able to download in Google Play Store and you are able to root your device directly from your device by using the app. 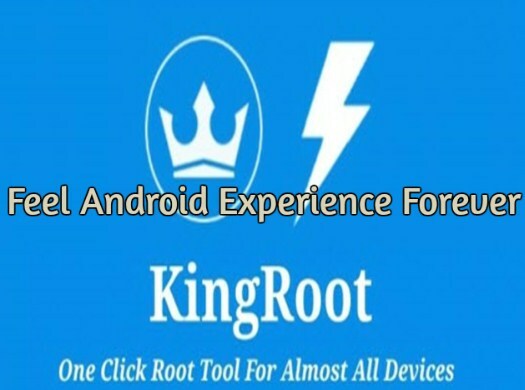 Kingroot PC is a Kingroot apk that you can use to root your android by connecting your android with PC. Kingroot for PC permits you to root your android device efficiently and effectively from your Windows PC. You are able to download the file of Kingroot for PC and then install it in your PC. You may wonder why Kingroot has a PC version when there is an independent android version which can root android without PC. It is because Kingroot PC version can support way more devices than android version. Now, how to root android device by using Kingroot PC version? Follow the instructions below. First, you have to download and install Kingroot on your PC. After you download and install it, launch it and you will see a message which says ” Connect your device”. So, you have to connect or plug in your android device to your PC using a USB. If your android device is plugged in, Kingroot will automatically detect your android version and device model. It can take a moment for those who do not have your device driver installed on your PC but Kingroot will install it for you. In this step, you have to make sure that you have an internet connection to complete the driver installation. If you have already had your device driver installed in your PC, Kingroot will detect it automatically. Now, you have to enable USB debugging mode on your android device. To enable it, you have to access Settings, About Phone, Build Number and then tap it 7 times to be developer. Then, access Settings again, go to Developer Options, see USB Debugging and then enable it. If you have enabled it, now you are able to click on “Try to Root”. For your information, rooting process will start with a progress percentage count and the process will take a few minutes to complete. During the process, make sure that you do not touch the device, move or unplug it. During the process of rooting, your device will also reboot several times and you do not need to be panic. After the process is done, you will get a message with a big tick on your PC which means that you have successfully rooted your device. So, you are able to close the application. Now, the device will reboot itself. If it is rebooted, you are able to install root checker and click on verify root to see whether root have succeeded. Before you root your device, it is better for you to know the advantages of rooting your android device including greater battery life, higher speed, the ability to customize, removal of bloatware or preinstalled software, administration permissions for the user and possibility to install applications that only run on rooted phones. Related Post "Kingroot PC Root Tool"